A great Bucks County tradition featuring arts, crafts, literature, live music, silent auction prizes and entertainment for the whole family! 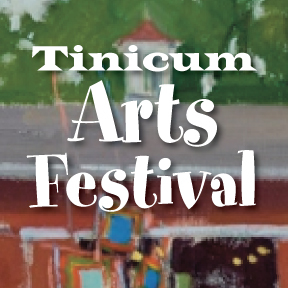 Hosted by the Tinicum Civic Association, the festival benefits the historic Stover Mill and Gallery & over 30 local non profit organizations. Please see full details at Tinicumartsfestival.org. Please join the many hands that make this festival fun and rewarding by becoming a volunteer! Below are various categories of volunteer opportunities. Please contact Cindi Sathra, [email protected] with any questions. The Tinicum Civic Association is a volunteer non profit organization that encourages artistic talent, supports community wellbeing and preserves the historic Stover Mill in Erwinna, PA. Merchandising skills welcomed. Help display items for sale in the White Elephant Tent. Help Discovery Tent presenters move their items and equipment to the Discovery Tent and help as needed. Report to Kris Becker in Silent Auction. Assist with sales.